CHATTANOOGA, Tenn. - When former Pilot Flying J sales executive Dan Peyton learned a trucking company had been defrauded by his colleagues, he told jurors Jan. 18 he dialed up the truck stop giant’s then-president. Hazelwood is standing trial alongside former vice president Scott “Scooter” Wombold and former account representatives Heather Jones and Karen Mann on charges of conspiracy to commit wire and mail fraud in a five-year scheme to rip off trucking companies by promising them diesel fuel discounts in return for loyalty to Pilot Flying J but paying them less than promised. Fourteen former sales executives and staffers have already pleaded guilty. Two more were granted immunity. 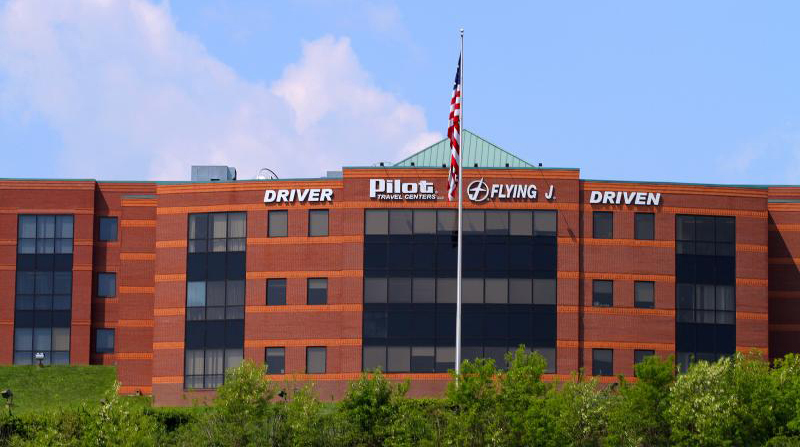 Pilot Flying J’s board of directors shelled out $92 million as punishment for its criminal responsibility and another $85 million to settle lawsuits filed by defrauded trucking firms. CEO Jimmy Haslam denies knowledge of the conspiracy and is not charged. Peyton left Pilot Flying J before the FBI and IRS Criminal Investigation Division raided the Knoxville headquarters of the nation’s largest diesel fuel retailer and was not charged. He now works for Pilot Flying J’s competitor, Love’s Travel Stops. Peyton had worked for Pilot Flying J on three different occasions, beginning in the late 1980s. He quit the first time, citing his “immaturity” for getting upset that Wombold was making more than he was, and, in his second stint, left the firm after crashing a company car while drunk behind the wheel. He told jurors he went into rehab and in the early 2000s, Hazelwood and Wombold asked him to return to Pilot. He did. But in October 2008, Peyton said he learned salesman Tim Prins had promised Smith Transport a discount on diesel fuel purchases of six cents per gallon but, with approval from supervisor Arnie Ralenkotter, shaved off three cents per gallon without notifying Smith Transport. He said he was “upset, mad” at the news, particularly since his own customer, US Express, had recently bought an ownership interest in Smith Transport. It was in that process the fraud was discovered, records showed. Smith Transport was then reassigned from Prins to Peyton, emails showed. “There may be a silver lining in this thing in as much that Smith really didn’t do as good a job managing their fuel as they always liked to think they did,” Ralenkotter wrote. That email was copied to Hazelwood. “He knew it wasn’t a mistake,” Lewen said. FBI Agent Andy Chapman testified Jan. 18 he was tasked with interviewing Hazelwood on the day Pilot Flying J’s Knoxville headquarters in April 2013. “He was courteous and professional,” Chapman said. The nickname was a play on the term “manual rebate,” a method of paying trucking firms discounts on fuel, and a nod to the fact that trucking firms targeted for fraud were often owned by minorities, including Hispanics. Testimony has shown Hazelwood was told at an executives’ meeting in October 2012 that former Pilot Flying J sales executive Brian Mosher would be teaching the techniques of fraud at a mandatory training session at the firm’s headquarters the following month. Hazelwood was captured on secret recordings giving his approval to Mosher’s training sessions, which also were secretly recorded. The trial is being postponed a week because of a conflict with a juror’s schedule. It will resume Jan. 30.